MultiChoice, DSTV/GOTV to shut down June 2019 – Royal Times of Nigeria. 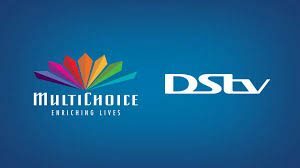 The Federal Government may have notified the management of MultiChoice owners of DSTV/GOTV that their operations in Nigeria wil come to an end in 2019 as their license expires June next year. According to a letter to that effect issued on Tuesday by the National Broadcasting Corporation (NBC), the license to them in 2014 by the NBC will not be renewed because it was not in line with Digital Switch Over (DSO) White Paper. If MultiChoice, DSTV/GOTV will ever operate in Nigeria again after expiration of its license, the only option left for them is to go to licensed Signal Distribution Company, that is Pinnacle Communication Ltd or ITS. It could be recalled that GOTV has beeb accused of being used as a conduit to siphon foreign exchange from Nigeria by its parent company, MultiChoice DSTV.